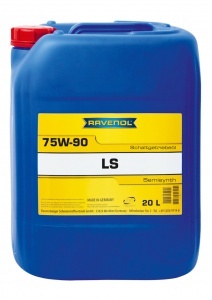 RAVENOL LS75W-90 gear oil is a semi synthetic Limited Slip Differential oil especially suitable for Historic Motorsport applications where an SAE 90 grade oil was originally specified. Can also be used in non-synchro (dog gearbox) and sequential gearboxes. Not suitable for synchromesh or overdrive boxes. The formulation is based on a blend of high quality solvent refined and synthetic base oils, together with special additives and inhibitors, which are adapted to ensure proper operation of the transmission. 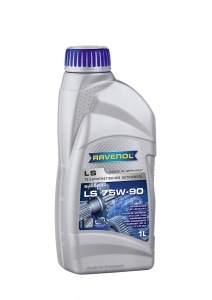 RAVENOL LS 75W-90 was specially developed for use in differentials with limited slip (LS) properties. Proper lubrication is assured in self-locking, hypoid transmissions, and the cost-effective formulation makes it suitable for a wide range of applications, including high performance transmissions where this type of oil is specified.